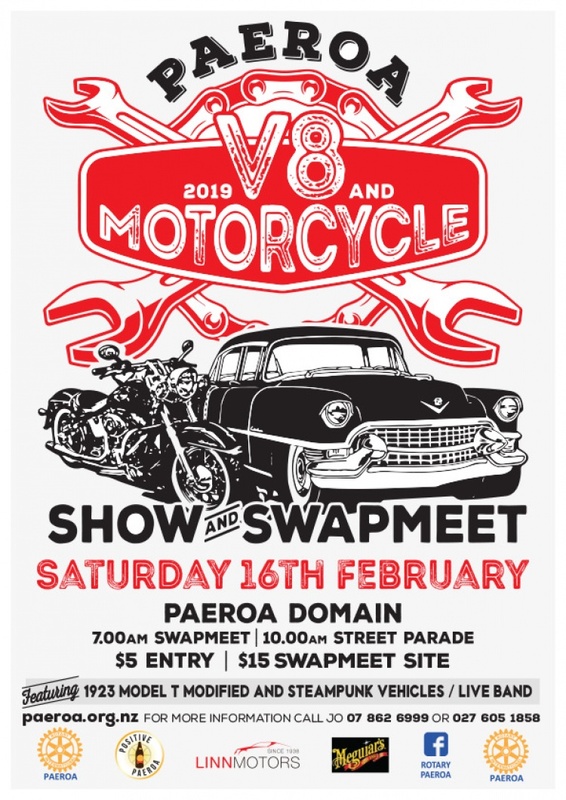 All roads lead to Paeroa on Saturday February the 16th for the Paeroa Rotary V8 & Motorcycle Show & Swap Meet! The Swap meet starts at 8am, and the Show & Shine Parade rumbles through the street at 10. Head to Paeroa Domain to get up close and check out the cars, bikes, swap meet stalls and marketplace. Live music, hot food and cold drinks will keep your motor running throughout the day! Entry $5 - Swap stalls $15, see www.paeroa.org.nz online for more details and to organise booking a stall.